Ψ Harikrishnan, PALMIST - Palmistry & palm reading in Dubai, United Arab Emirates! Palmistry is one of the oldest tradition developed along with vedic period across India.Palmistry , Face Reading & Body reading were the educational subjects at olden gurukul system for all.It was believed that a perfect ruler must know the all these as it deals with the inner thoughts & developments of mind to analyze the people around.In India at Olden family system , every family had an astropalmist at their area who is an expert in astrology , palmistry and Vedic Numerology. I am an Indian Vedic Palmist & Vedic Numerologist got advanced degree in vedic astrology and Vastu( Shastri Honours ) from banaras Hindu university and started my career as a vedic astrologer. During my graduation i have met Pandit Neelakanta Shasthri, a living legend in vedic palmistry from tamil nadu who lived in Banaras and started my education in Vedic Palmistry one of the oldest area in hand reading.I have got advanced knowledge in Hand reading specialised in medical palmistry and Face reading. 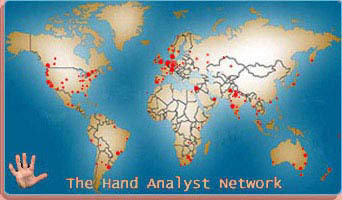 For the last 9 years I am practicing Vedic Palmistry , Vedic Numerology in India & Middle east and have read more than 9000 hands from different countries. Right now i am practicing in Dubai, Mumbai and Pune." FIND MORE: Palm Readers in The U.A.E.